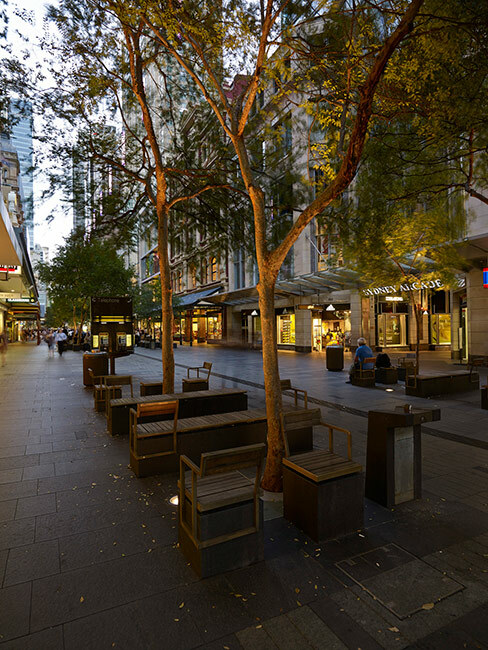 Tony Caro Architecture: 60,000 people pass through Pitt Street Mall on an average summer weekday. 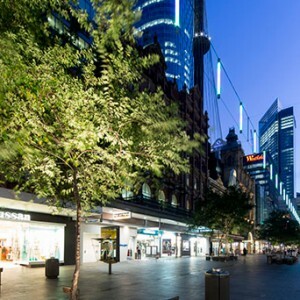 Its retail rental rates are amongst the highest in the world. 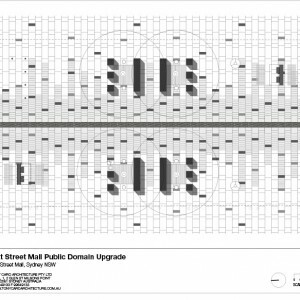 However over the past two decades, the Mall’s public domain had deteriorated due to the intensive levels of pedestrian traffic and incessant re-development of adjacent major retail stores and arcades. 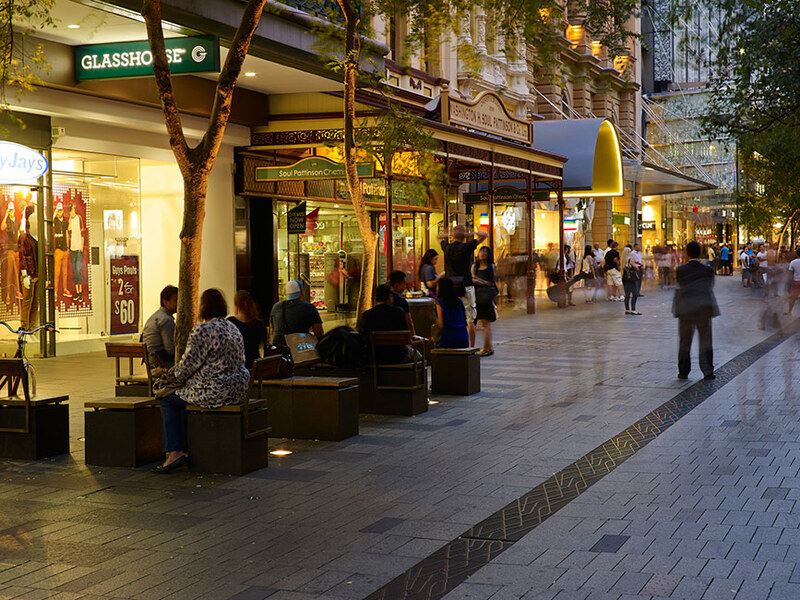 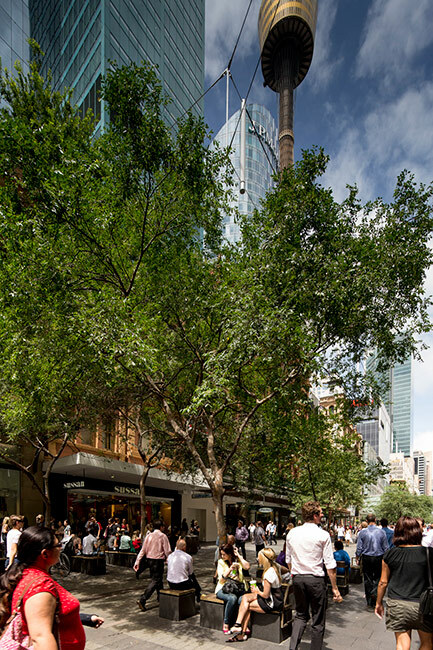 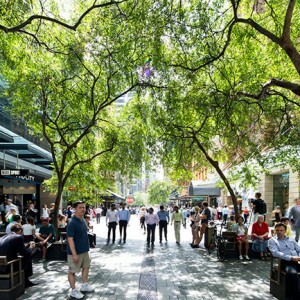 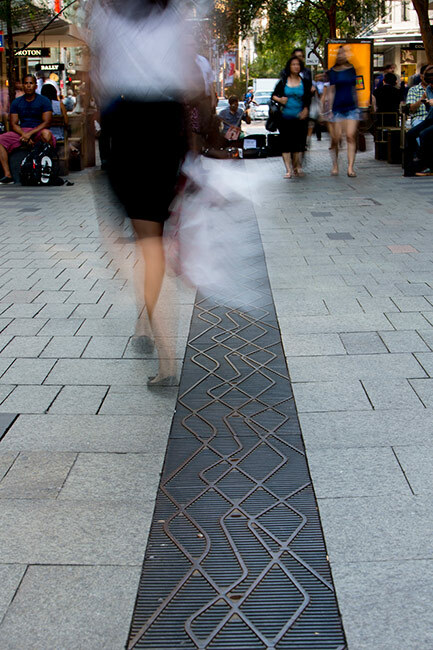 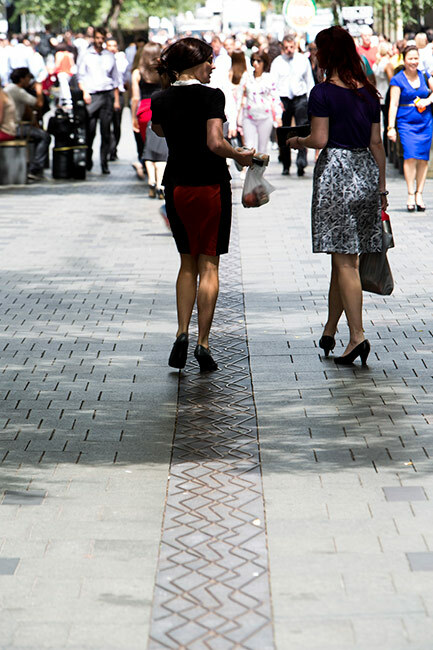 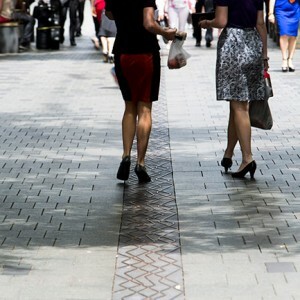 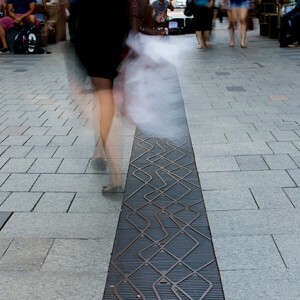 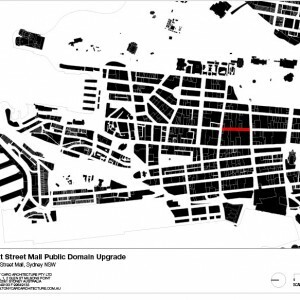 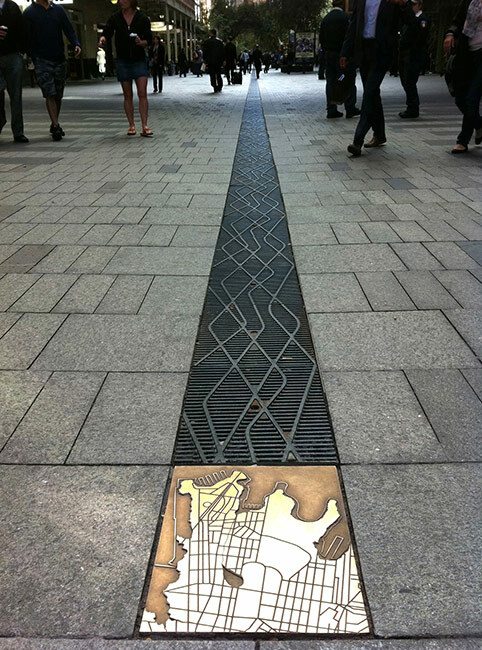 The project brief was to re-instate the urban design, public amenity and environmental qualities of Pitt Street Mall as the pre-eminent public space within the retail heart of Sydney. 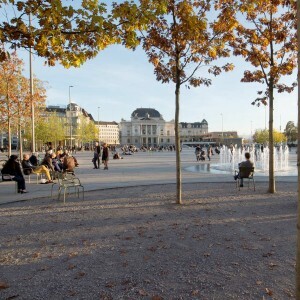 The project is founded upon three key urban design elements or systems. 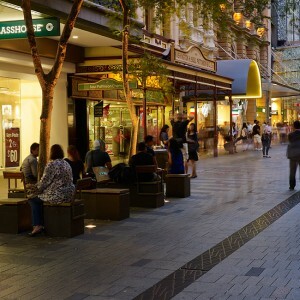 Although the Mall was pedestrianised in the late 1970’s, it continued to have the character of a “paved street” through retention of its original, crowned-street profile. 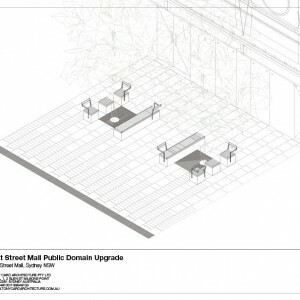 The project offered an opportunity and budget to reconfigure the entire ground-plane with a more “floor-like” surface, in an effort to invest the space with a distinct, public room-like quality. 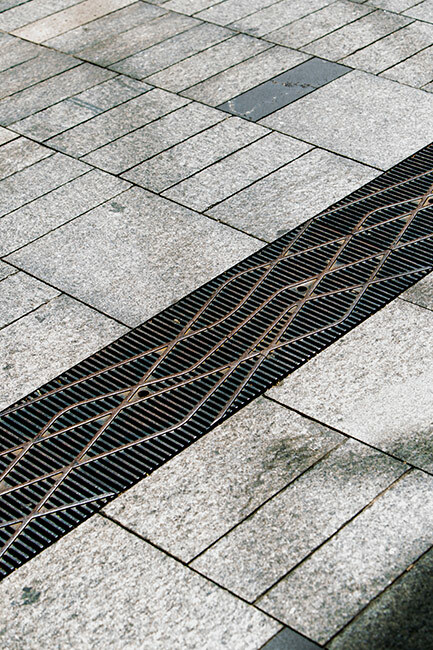 The existing kerb-line street drainage culverts were converted to tree irrigation reservoirs and the drain relocated to a central alignment, allowing for much flatter cross-falls and an enhanced perception of width within the relatively narrow corridor. 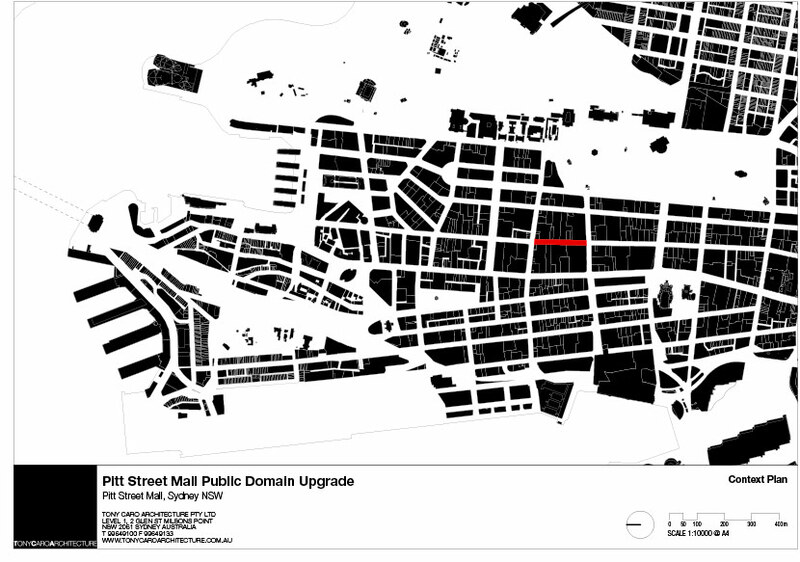 The central drainage channel is an interpretation and expression of the Tank Stream, originally a pristine fresh-water brook and Sydney’s primary settlement raison d’etre. 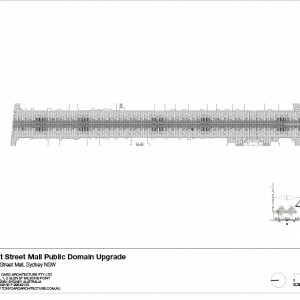 The Tank Streams arose from a marsh to the immediate south of the Mall, and it continues to run encapsulated below Pitt Street to this day. 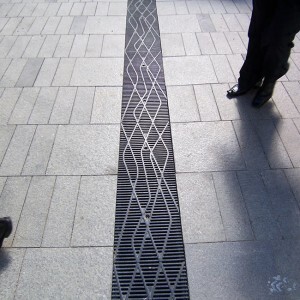 Interweaving of the City’s contemporary paving palette with traditional kerbstone materials into a rich, carpet runner-like pattern across the entire floor reinforces the Malls spatial geometry and creates a focus on the central drainage channel. 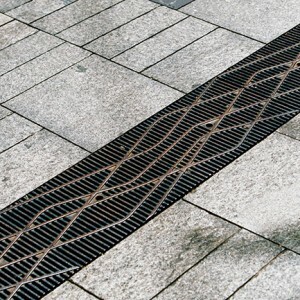 The drainage grate elements are ductile cast iron with an abstracted sinuous profile, seated within a concealed frame to integrate it simply and directly with the adjacent paving stones. 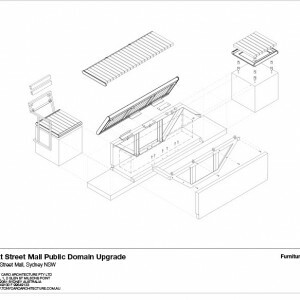 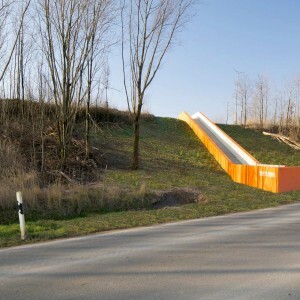 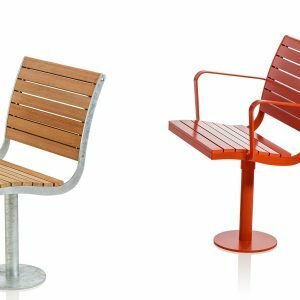 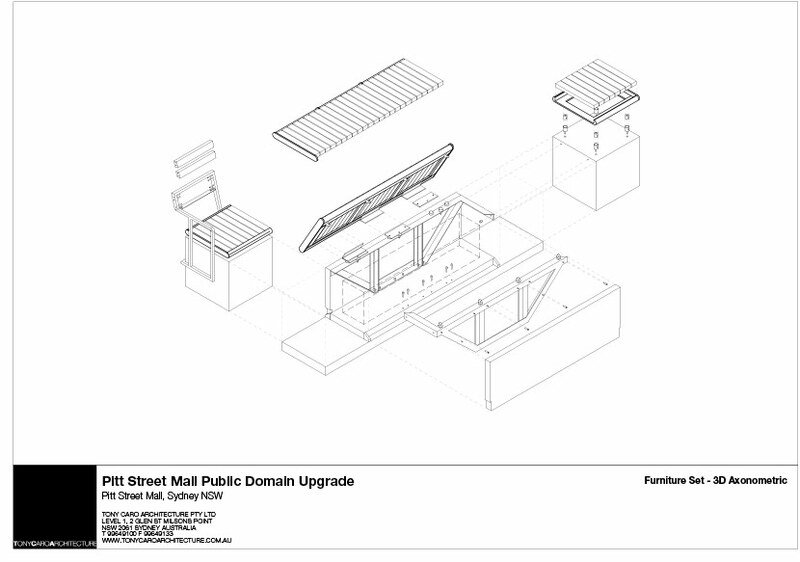 The Brief also suggested a custom suite of street furniture. 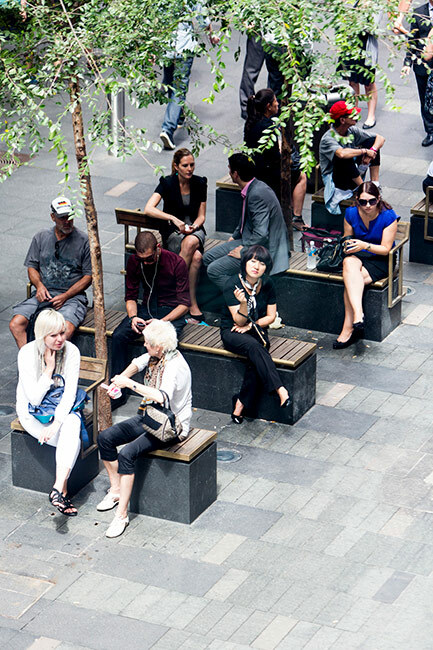 Seating is in extremely high demand within this intensively used space, and is arranged in a variety of configurations below the trees that allow the public to sit in sociable groups or individually. 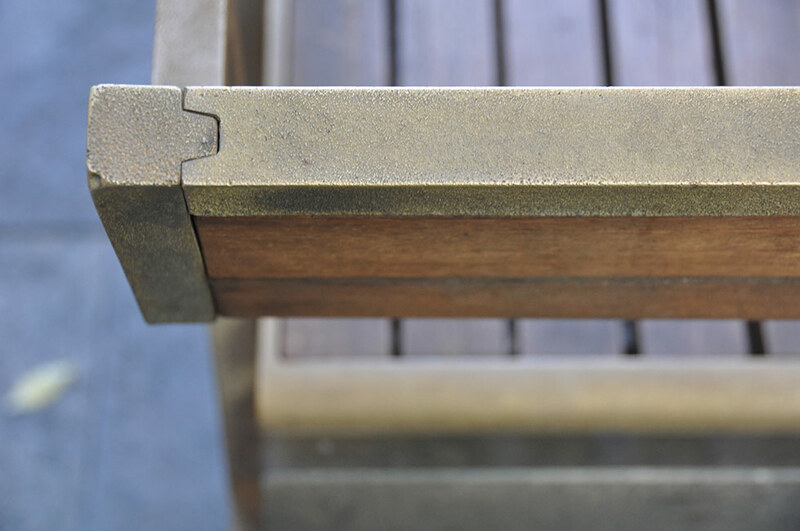 TCA worked closely with fabricators and foundries to design and deliver the suite with a range of materials, details and finishes that met the budget, construction methodology, maintenance and accessibility requirements. 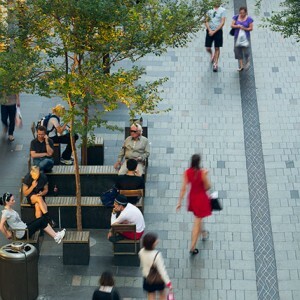 The bench seats integrate service utilities and IT functions that allow the Mall to be used for a wide range of entertainment and public events over the course of a typical day and for seasonal events. 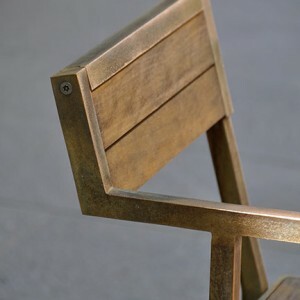 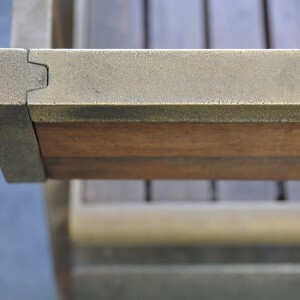 The furniture is made from solid sand-cast bronze, Austral Black exfoliated granite plinths and re-cycled tallow-wood. 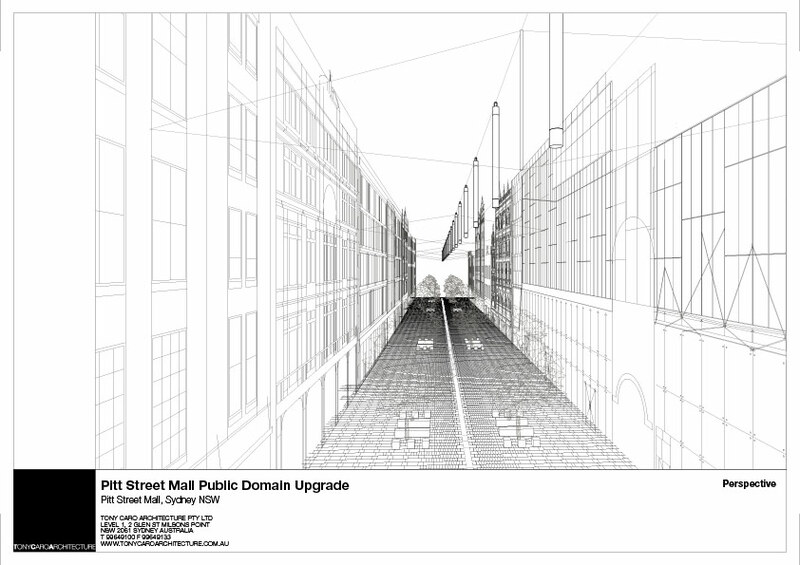 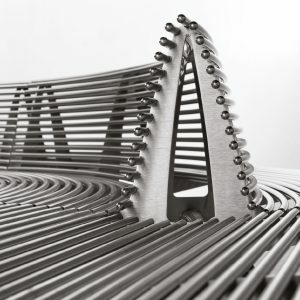 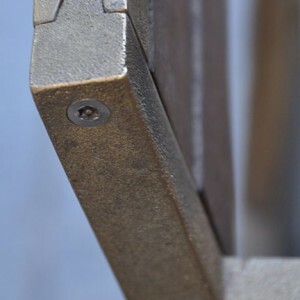 These materials resonate with the traditional materials of Sydney’s public domain heritage. 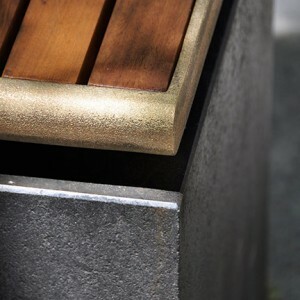 Custom bubblers were also designed, resonating with the Tank Streams fresh water supply function to the fledgling colony. 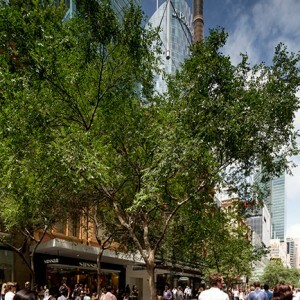 Existing Chinese Elms were augmented by new specimens where necessary. 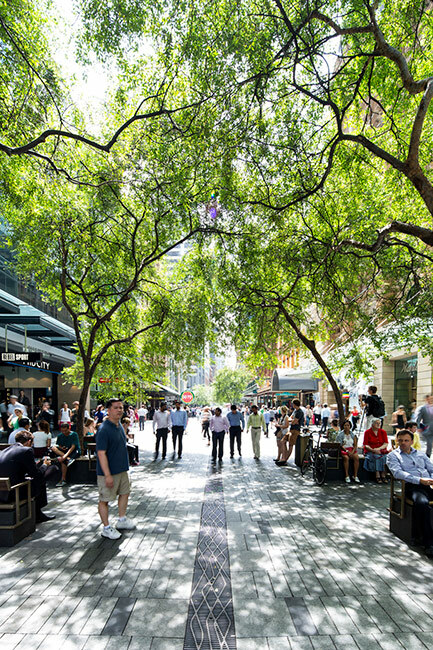 It is important that the Mall trees are deciduous, allowing the public domain to capture a precious hour of lunch-time sun in winter. 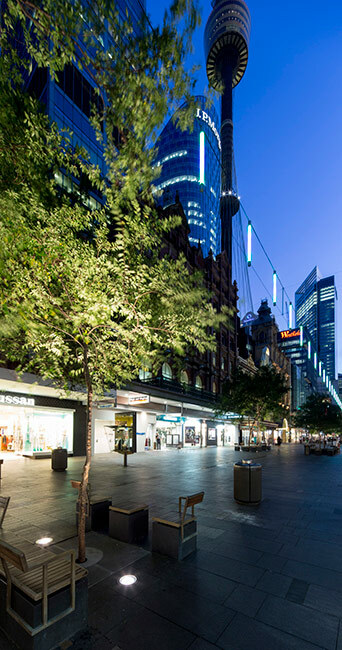 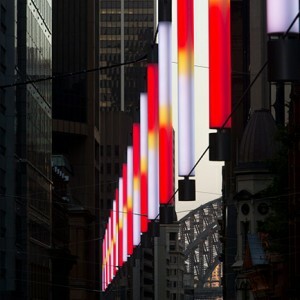 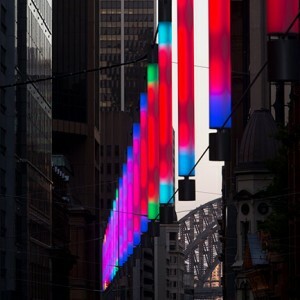 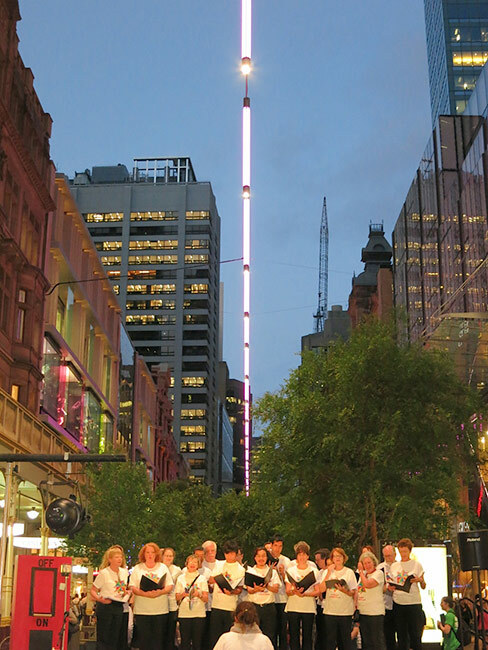 An opportunity was identified to develop a custom public lighting system for Pitt Street Mall that celebrated its unique retail character and was resonant with the the overall conceptual framework for the space. 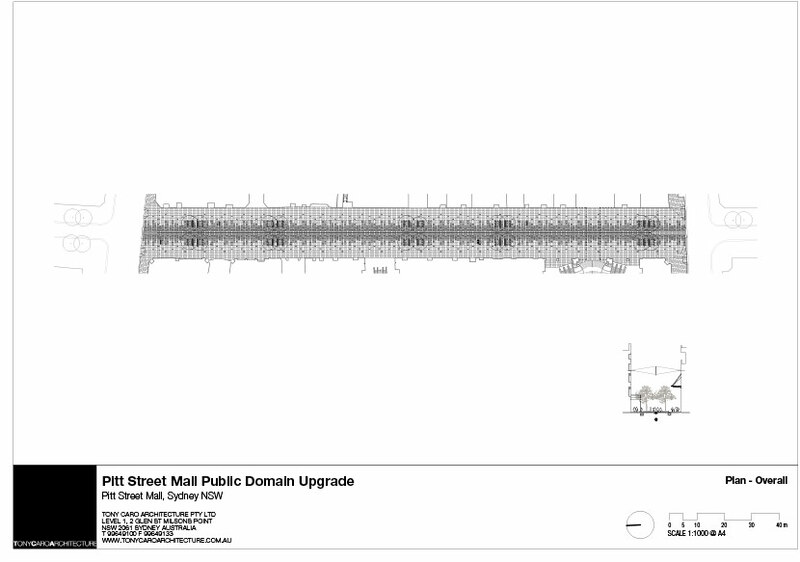 Numerous lighting strategies were considered, with an eventual focus upon an integrated catenary lighting system that avoided additional clutter on the Mall floor, addressed public and ambient lighting requirements, and created a distinctive image for the project. 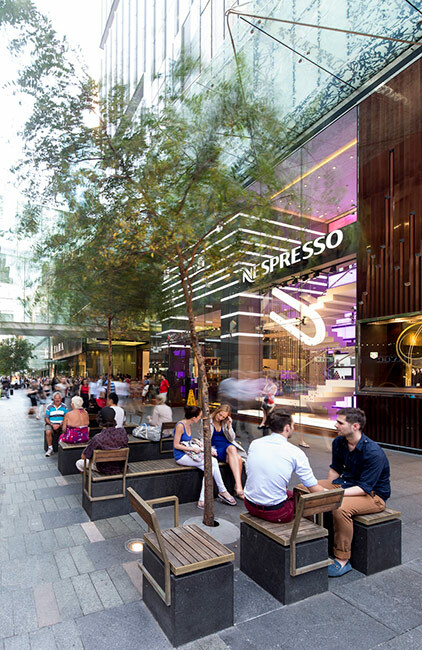 The central catenary is supported by a series of minimal, refined bowstring trusses connected to adjacent facades. 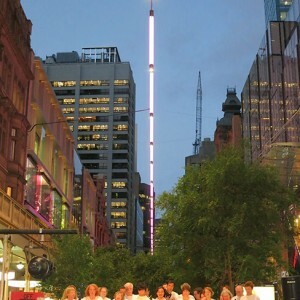 The central band supports a ribbon of tubular, custom LED luminaires that create a planar canvas of suspended light in the sky above the Mall floor. 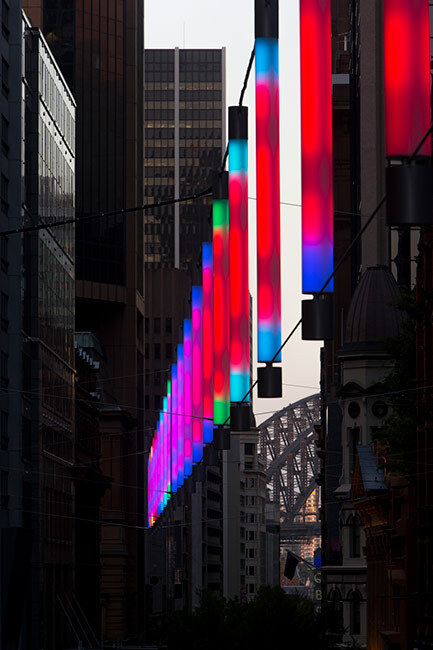 The lights can be remotely programmed for special events, late night shopping, seasonal displays and site-specific artworks. 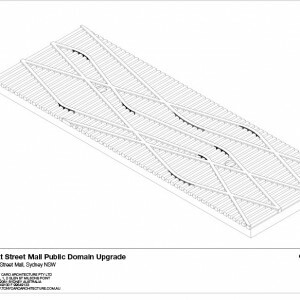 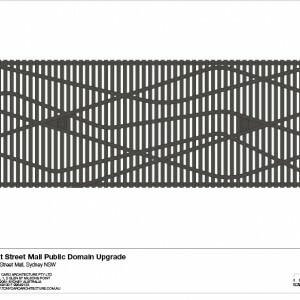 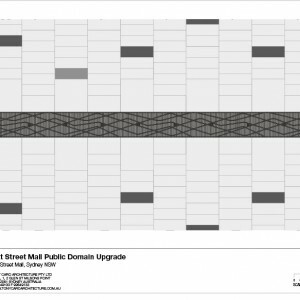 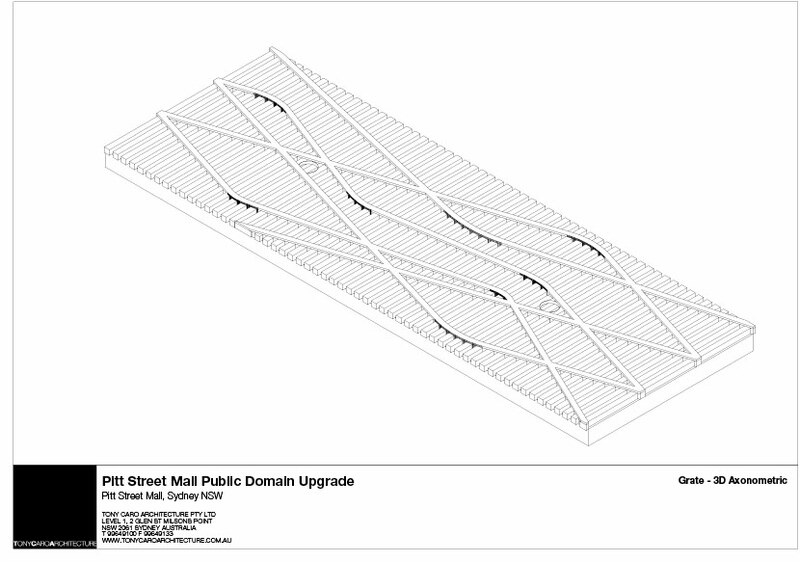 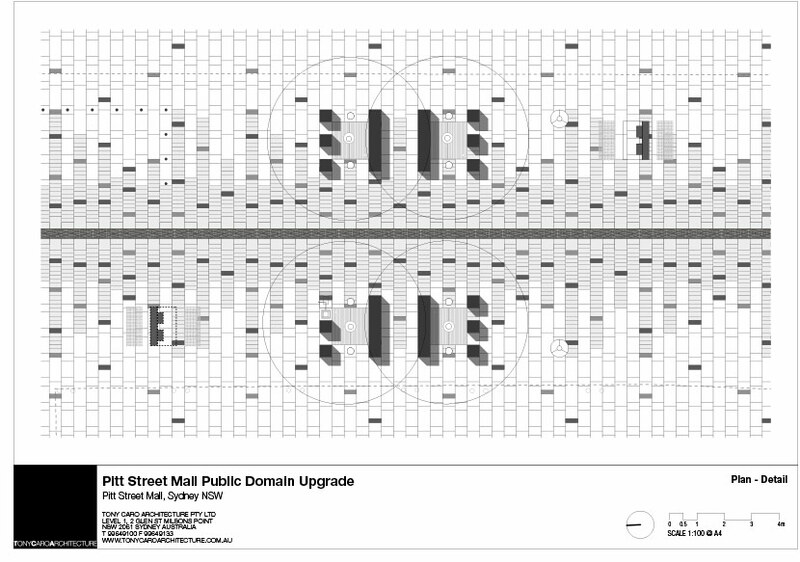 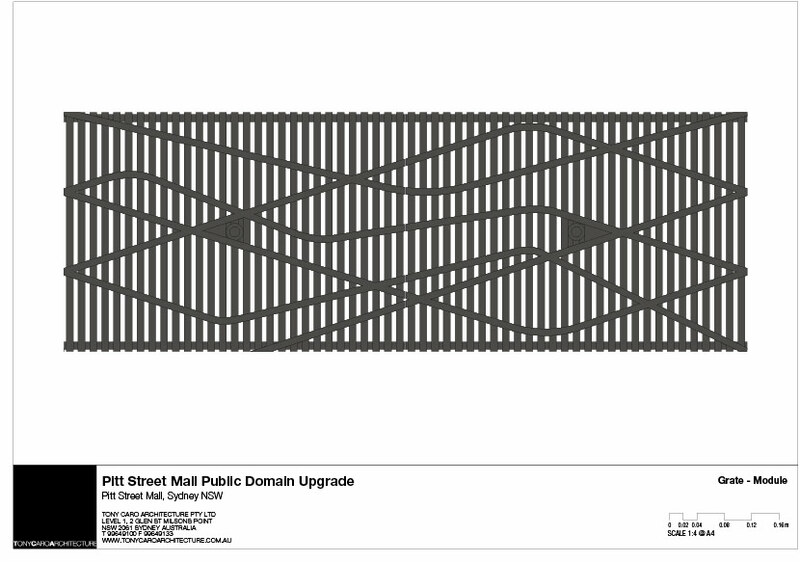 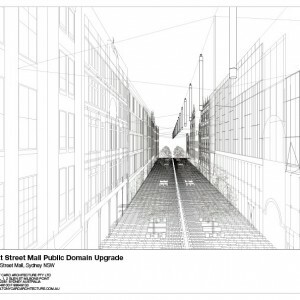 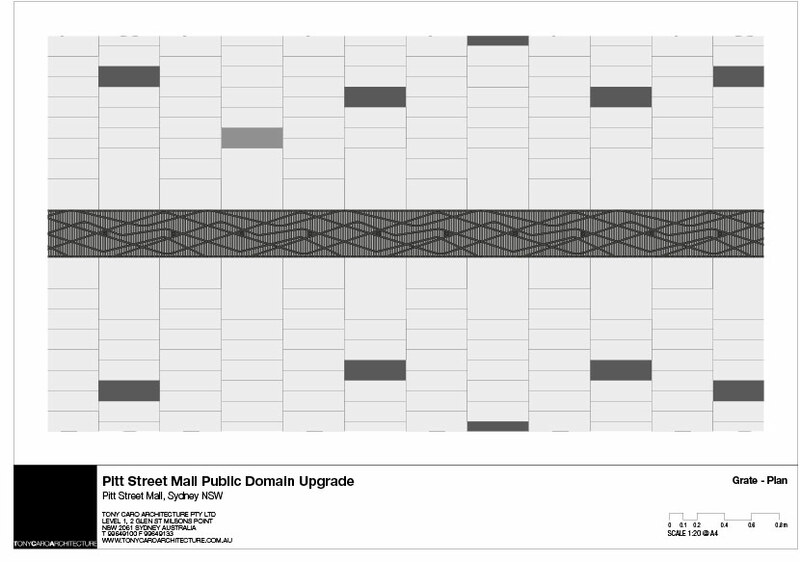 The Pitt Street Mall Public Domain Upgrade is functional and yet poetic. 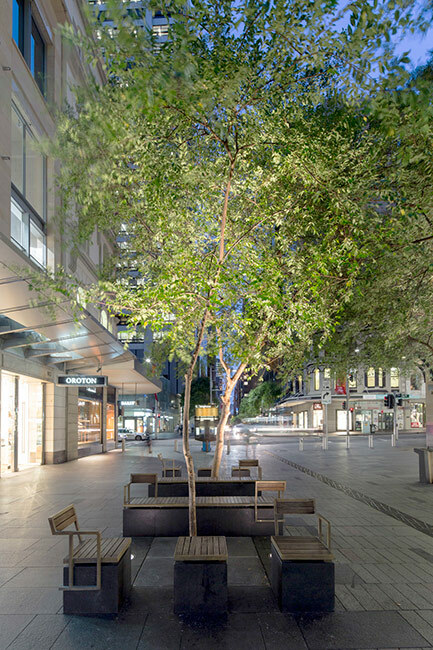 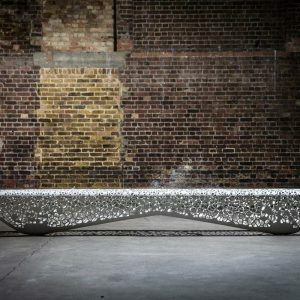 Through their simplicity, clarity and understatement each element of the project – the carpet of paving, the placement of trees to shade seats and intelligent lighting – combine to equal more than the sum of the parts. 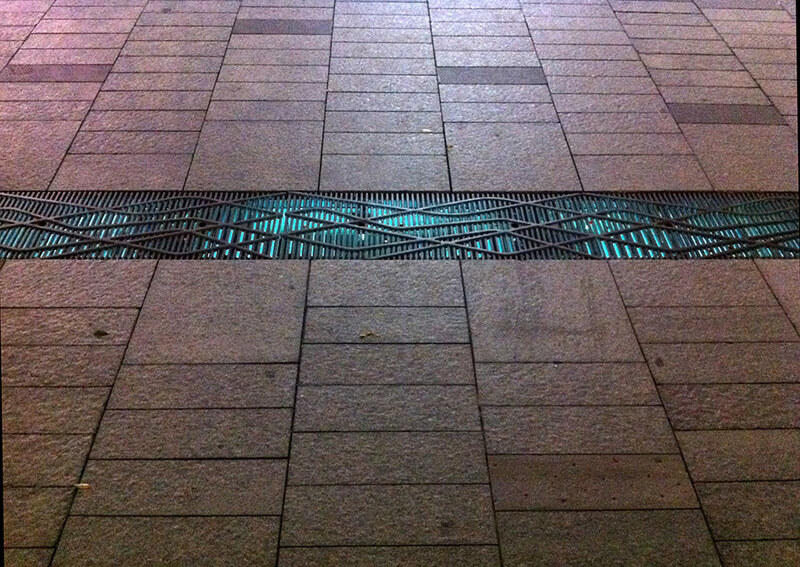 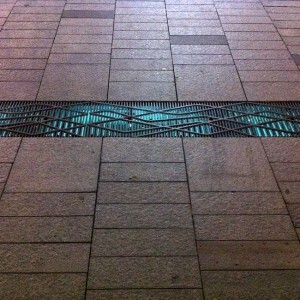 The paving is more than practical. 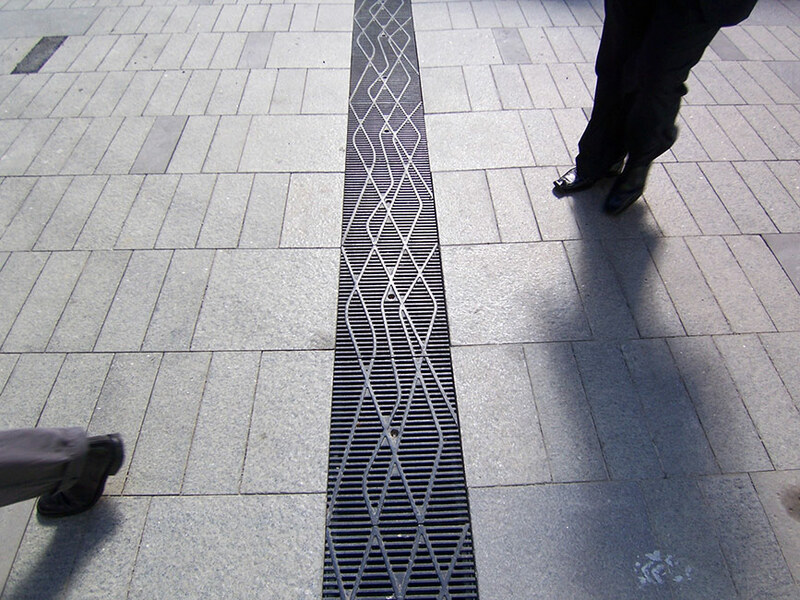 A former crest along the centre of the mall has been regraded to a trough with a single centreline drain that catches the water and echoes the historic tank stream in its alignment and detail. 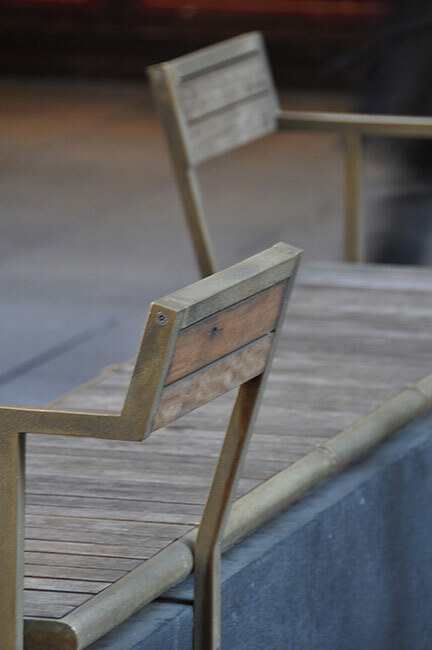 The seats are elegant in form and detail. 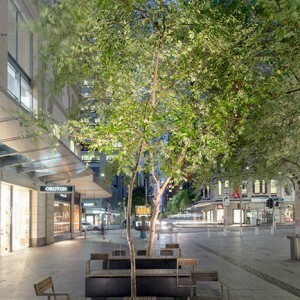 They are arranged to accommodate incidental perching or planned meetings and are carefully placed out of the way of pedestrian movement, while the fine catenaries of lights just above adjust to neighbouring ambient light levels or special events. 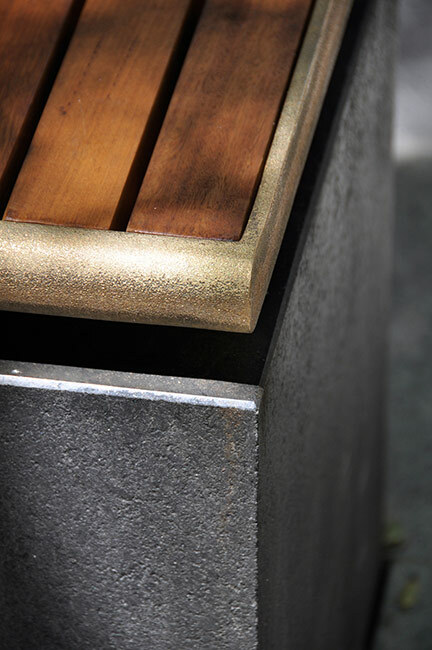 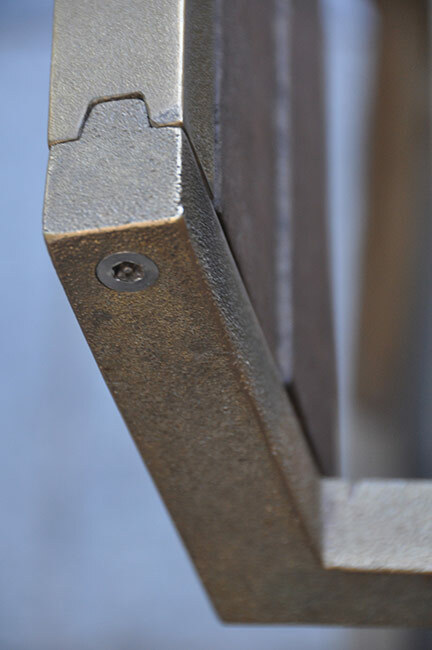 The restrained aesthetic language is designed to be elegant, robust and timeless. 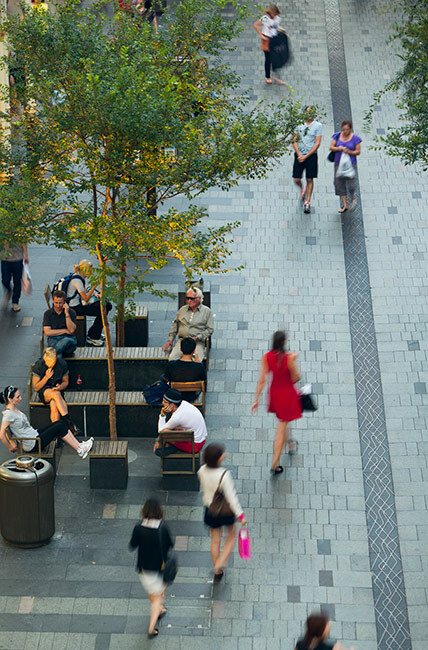 It is a refreshing change from the mall designs of the 80s. 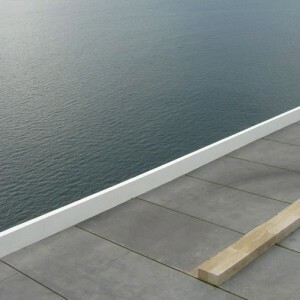 Here, less is more and the result is calm and smart. 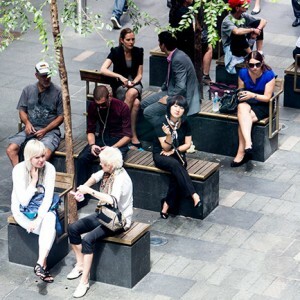 It is smart because it enables the rapid movement of people between the retail clutter. 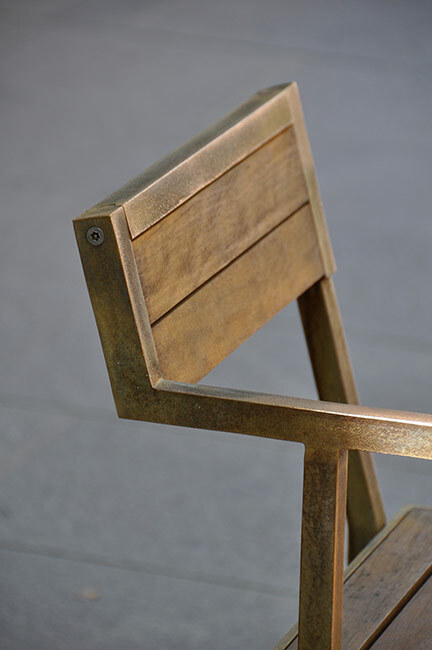 It is calm – some will look at this work and award and ask ‘But what has the designer done?’ because it feels just right. 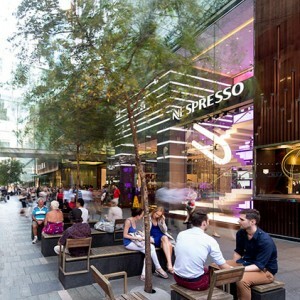 The jury felt that the subliminal presence of the design works perfectly for this frenzied environment. 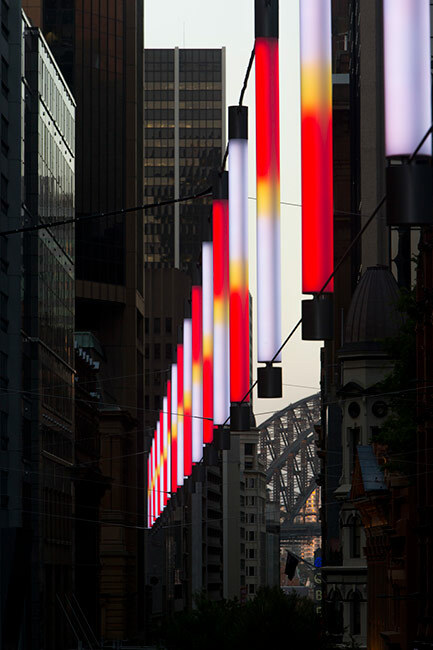 The jury awards and acknowledges the project team and the committed patronage of the City of Sydney to ensure design excellence flourishes in the city’s public domain. 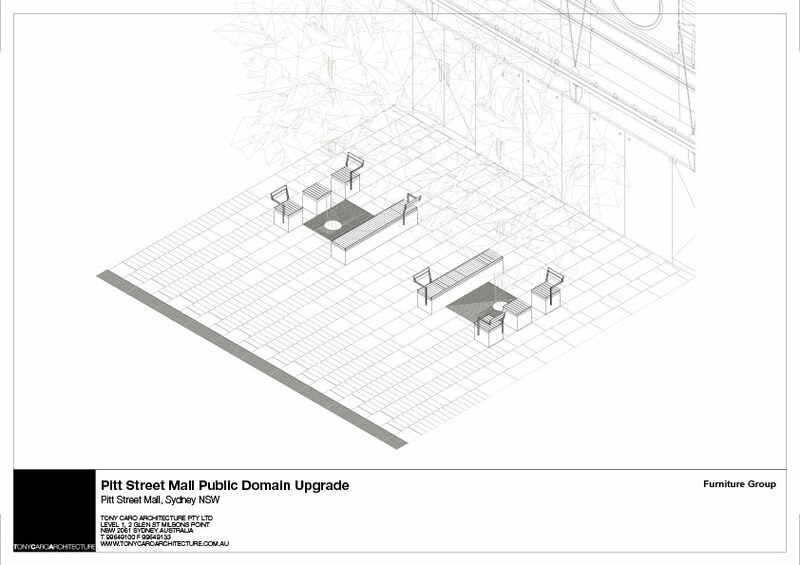 Project Team: Tony Caro, Alex Koll, Blair Young, Jason Fraser, Louise Chapman. 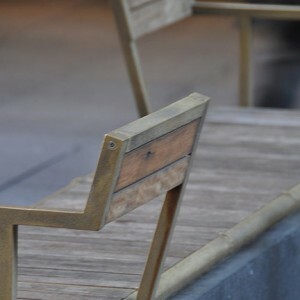 @Rick – You’re a turkey! 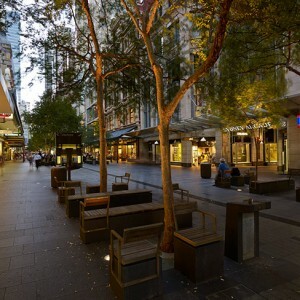 It is an important, well-executed project for the Sydney CBD with a decent AUD$10m budget. 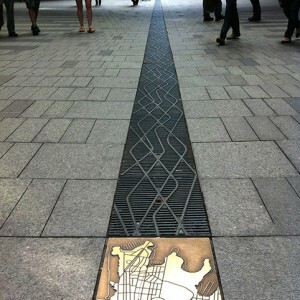 Small if you are working in the Middle East perhaps.